Offering close readings of the works of a wide array of writers — Michael Ondaatje, Robert Kroetsch, Ethel Wilson, Milton Acorn, Daphne Marlatt, bpNichol and many more — Bowering considers what it means to be a Canadian writer, and a Canadian reader. Throughout, he considers the themes, preoccupations and hooks that abide in our national literature. 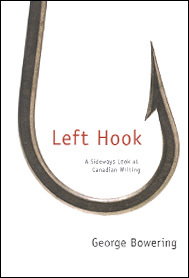 And amid explorations of Sheila Watson's Double Hook and Margaret Atwood's sharp lines of poetry — "like a hook into an eye" — Bowering manages to land a few punches of his own. 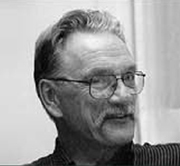 In Left Hook Bowering throws assumptions about national identity into the ring with modernism and postmodernism, regionalism and anti-centrism. Along the way he makes delightful digressions about his personal experiences — growing up in B.C. 's Okanagan Valley playing baseball and reading dime novels; his attraction/repulsion to American culture; discovering poetry as a young man; his first encounter with Al Purdy's teeth-staining homemade wine. Above all, he tells us — with infectious enthusiasm — about the books and writers he loves. Always engaging, Bowering is the ultimate literary conversationalist — informed and intimate, intelligent and irreverent.